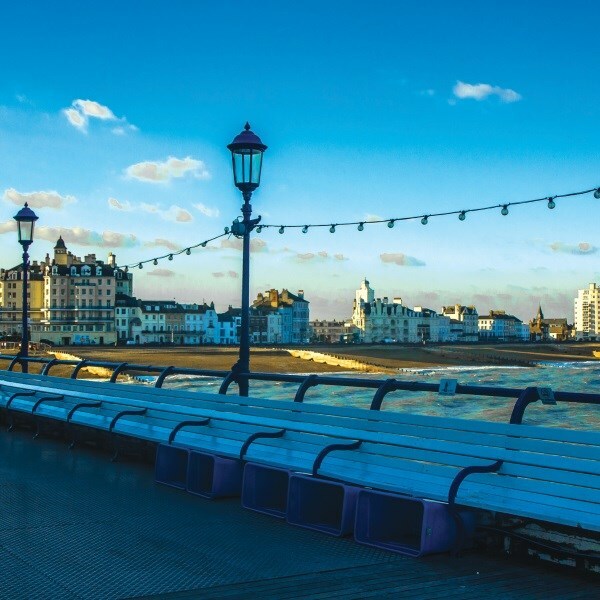 Departing Suffolk & Essex - Enjoy a day out in Eastbourne by coach. 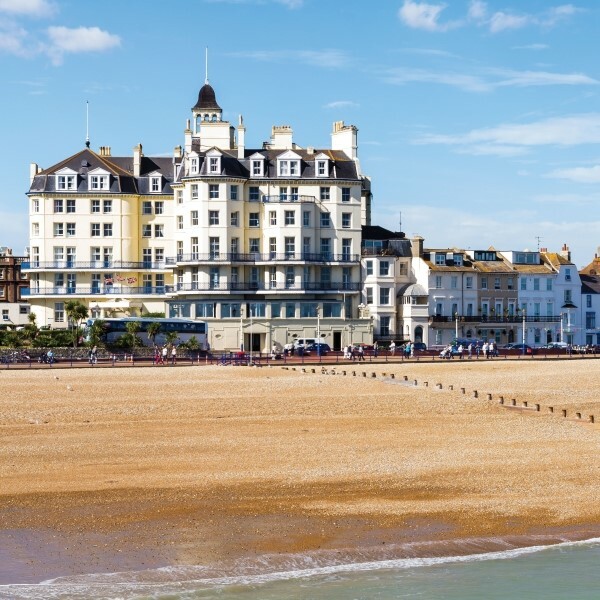 The town promotes itself as "The Sunshine Coast", and often claims the highest recorded hours of sunlight, producing a rivalry with the larger coastal resorts of Bournemouth and Weymouth. The seafront at Eastbourne is distinctive in having few shop fronts opening onto it, the road being almost entirely populated by Victorian architecture hotels. This is because much of Eastbourne has traditionally belonged to the Duke of Devonshire, who retains the rights to these buildings and does not allow them to be developed into shops. Along with its Eastbourne Pier and bandstand, this serves to preserve the front in a somewhat timeless manner. One feature that has always been heavily promoted is Eastbourne's floral displays, most notably the "Carpet Gardens" along the coastal road near the pier. These displays, and the town as a whole, frequently win awards - such as the 'Large Coastal Resort' category in the 2003 Britain in Bloom competition.